Professor John O'Keefe, Director of the Sainsbury Wellcome Centre for Neural Circuits &amp; Behaviour and Professor of Cognitive Neuroscience in the Department of Cell &amp; Developmental Biology, Division of Biosciences at UCL, has today been awarded the 2014 Nobel Prize in Physiology or Medicine for the discovery of cells that constitute a positioning system in the brain - an 'inner GPS' - that enables us to orient ourselves. Professor O'Keefe, who won the award jointly with Professors May-Britt Moser and Edvard Moser of the Norwegian University of Science and Technology, discovered the first component of this positioning system in 1971 when he found a type of nerve cell in the hippocampus that became activated whenever a rat was in one location in a room, with a different set of cells active when the rat was in a different area. He concluded that these 'place cells' formed a map of the room. In 2005, the Mosers identified a nerve cell that allows for precise positioning and pathfinding. The place cells and nerve cells discovered make it possible for the brain to determine position. The Nobel Assembly said today: "The discoveries of John O'Keefe, May-Britt Moser and Edvard Moser have solved a problem that has occupied philosophers and scientists for centuries - how does the brain create a map of the space surrounding us and how can we navigate our way through a complex environment? "The discovery of the brain's positioning system represents a paradigm shift in our understanding of how ensembles of specialised cells work together to execute higher cognitive functions. It has opened new avenues for understanding other cognitive processes, such as memory, thinking and planning." Professor Michael Arthur, UCL President & Provost, said: "John O'Keefe is one of UCL's outstanding neuroscientists and I am delighted that his work on the very basic question of how the hippocampus in the brain stores spatial information and thus allows us to navigate our way through a complex world, has been recognised by the award of the Nobel Prize in Medicine. John continues his ground-breaking work as the first Director of the Sainsbury Wellcome Centre for Neural Circuits and Behaviour and I am delighted that this new institute at UCL will be guided and led by such a distinguished scientist." 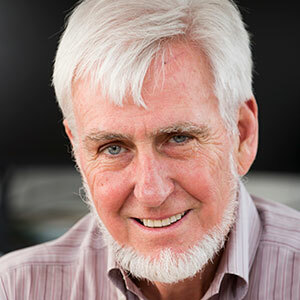 John O'Keefe is one of UCL's outstanding neuroscientists and I am delighted that his work on the very basic question of how the hippocampus in the brain stores spatial information and thus allows us to navigate our way through a complex world, has been recognised by the award of the Nobel Prize in Medicine. Professor Geraint Rees, Dean of the UCL Faculty of Life Sciences, said: "John O'Keefe is an inspirational neuroscientist whose discoveries about how space is coded in the hippocampus have fundamentally changed our view of how the brain works. Like many Nobel Laureates, John continues to be directly engaged in research and as Director of the new Sainsbury Wellcome Centre for Neural Circuits and Behaviour he will continue to pursue some of the most challenging experimental and theoretical problems in neuroscience." Professor David Price, UCL Vice-Provost (Research), said: "The UCL community is thrilled to learn that Professor O'Keefe's pioneering work has been so deservedly recognised. He is the 29th Nobel Laureate among our academics and students, past and present, and as the Inaugural Director of the Sainsbury Wellcome Centre for Neural Circuits and Behaviour at UCL, leads a team of researchers at the cutting edge of understanding how brain circuits process information to create neural representations and guide behaviour." Professor Alan Thompson, Dean of the UCL Faculty of Brain Sciences, said: "This is wonderful news and a fitting tribute to John's seminal discoveries and immense contribution to neuroscience. We should all be very proud of the work he has done and continues to do in UCL. Many, many, congratulations."